23 Oct Who Cares About the “Add to Cart” Button? The phrase “B2B eCommerce” implies a transaction. eCommerce IS about customer acquisition, conversion, and average order value. But it also serves a bigger, long-term purpose. Customers are in more control than ever before. Customers want more online services and tools. As a result, we are witnessing the convergence of customer portals, marketing, social, service and shopping cart sites into eCommerce. eCommerce has become the digital conduit to your customers. B2B companies that deliver an exceptional eCommerce customer experience offer more control and access to their back office. 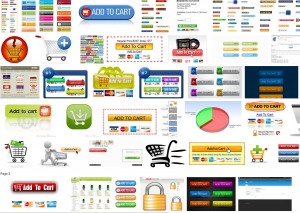 At some point, customers will demand online purchasing online. For the time being, channel conflict may be too much to figure out. Or maybe, buyers only direct procure through quoting or EDI. So do we need an add to cart button? You may not need an add to cart button, but the rest of the eCommerce experience remains relevant. Conversion does not have to be “add to cart” or “checkout”. A B2B website could define conversion as add to quote, schedule an appointment, purchase from channel partner or some lead generation activity. Regardless of the conversion method, B2B buyers need an excellent eCommerce experience including search, navigation, product relationships, rich product information, inventory availability, and location among others. Why? Buyers research online. They make decisions before speaking to a sales rep. And B2B organizations wish to introduce new products to their existing customers. Helping customers do their job easier to build loyalty can have a bigger return on investment than just ordering. Take for example, 3M.com. Many of the components of eCommerce exist on that site –search and navigation, merchandising, rich product information, and fantastic content. However, there is no “add to cart” button. 3M educates you on their products, builds a strong relationship with you, and develops brand affinity. Will they do eCommerce? They might someday. But until then, you still have a fantastic experience. So, don’t be afraid to create a Commerce Customer Experience that has no Commerce yet. This is an excellent strategy if you are working through channel conflict, don’t have fulfillment figured out, or maybe you want just to solve one problem at a time.